Well it seemed like a good idea at the time, cut some downed trees into rounds (16” long logs), split them up and burn them in the fireplace in the apartment I was living in. As a farm kid growing up with wood heating I usually brought firewood into the city from the farm but ran out that day. Starting in 2005 with my half ton, a Stihl chainsaw and a splitting maul we have branched out (pardon the pun) to two trucks, 4 trailers, 3 splitters and a hungry firewood processor. We supply firewood for backyard firepits, party bonfires, wood stoves, fireplaces, wood ovens, outdoor wood furnaces and anything else that burns firewood! 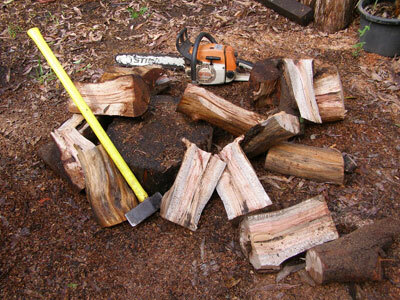 Firewood Manitoba strives to provide quality firewood, at a competitive price that is delivered on time and in accurate quantities….”Gud Wud”. Firewood Manitoba has a MB Timber Dealer’s license and we are a registered Manitoba company. If you have any questions just email or call and I’d be happy to chat. Thanks for taking the time to visit our site and I hope you find it helpful.